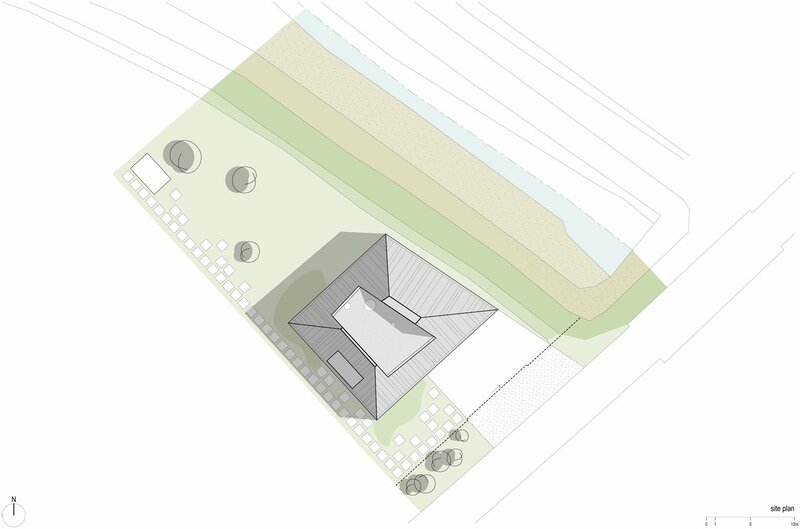 How to build a single house in a wonderful environment of woods, just next to the ‘Nete-valley’ on a badly orientated site? 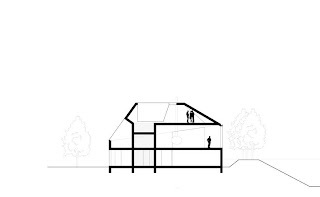 Extremely profound form-studies, town-planning regulations and a respectful attitude to nature defined the design-attitude. 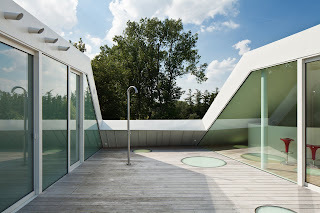 Characteristic to the concept is the rural, amorphous form with a hipped roof with different angles of inclination, flattened on top, and ‘living the other way around’, meaning living on the upper floors and the big roof terrace in order to enjoy the splendid view. 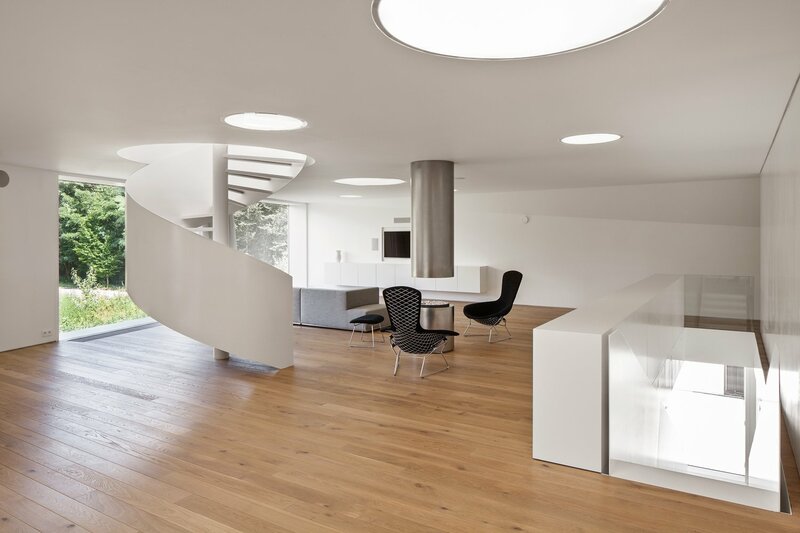 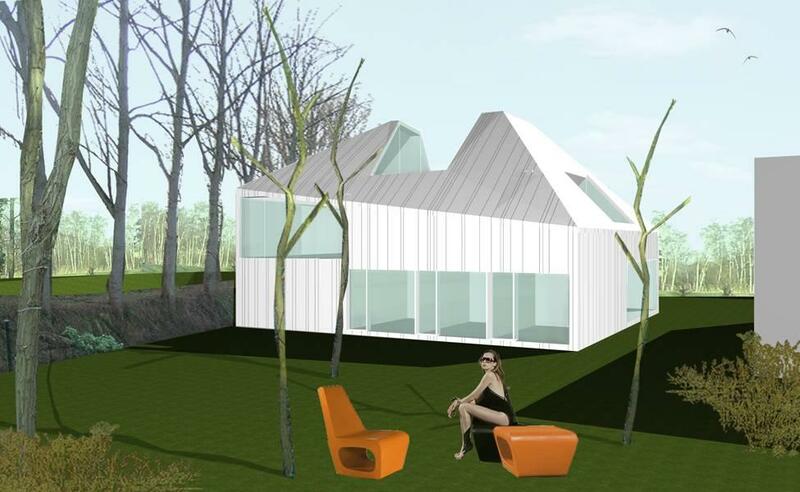 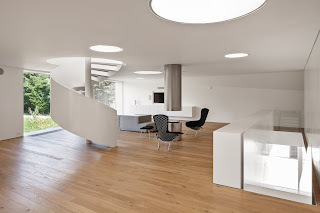 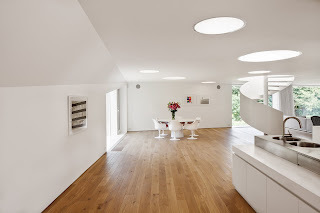 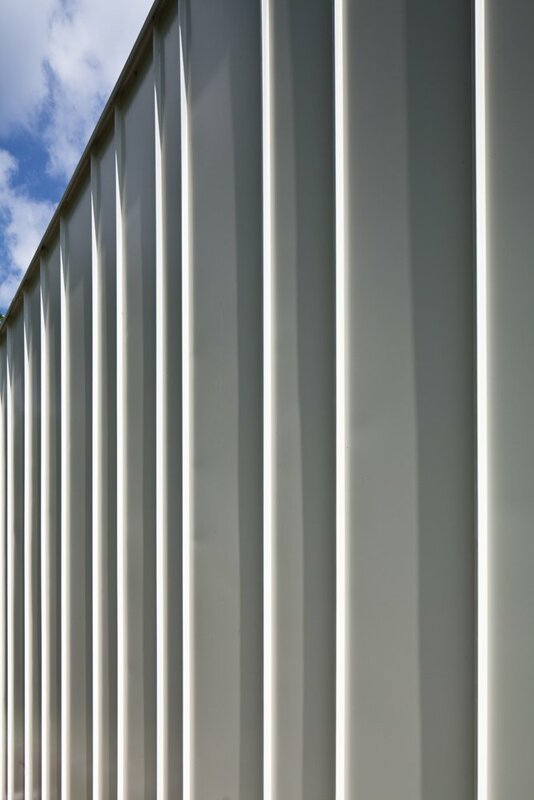 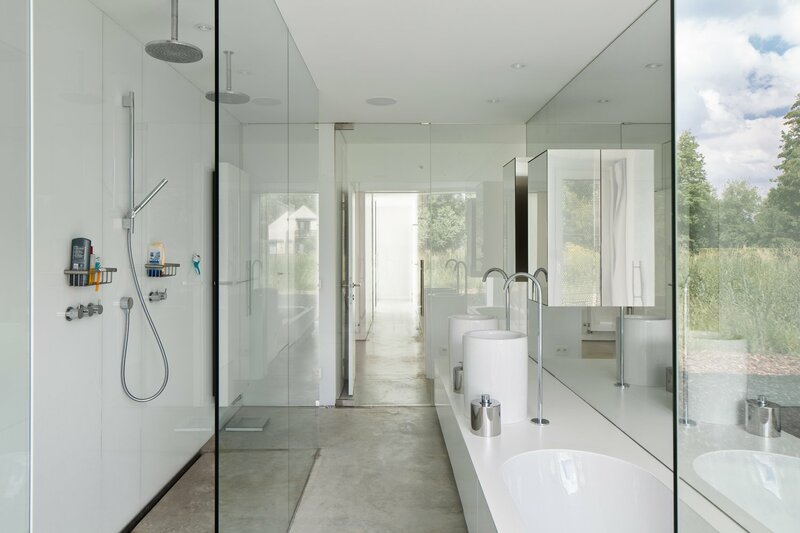 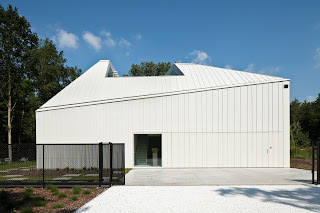 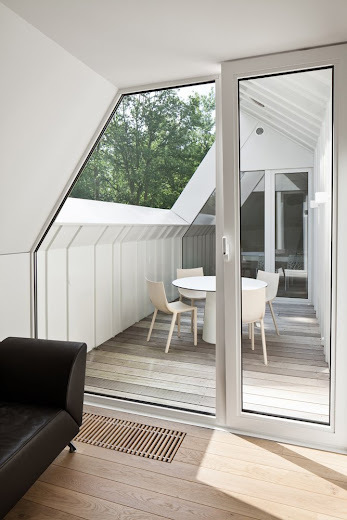 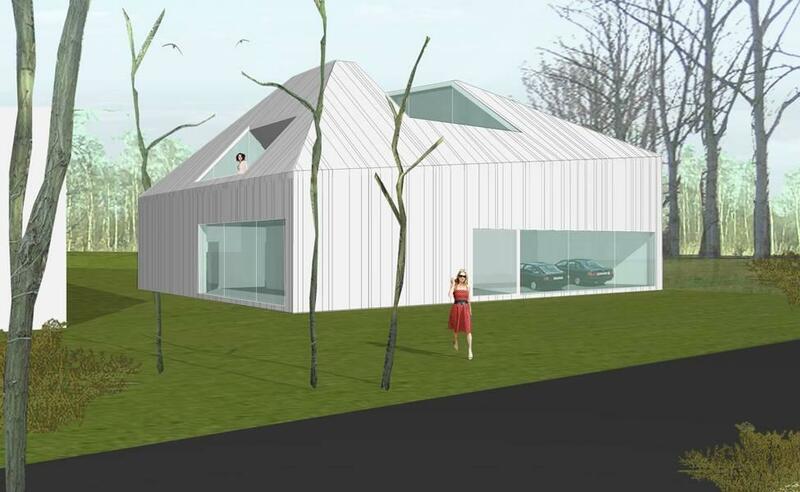 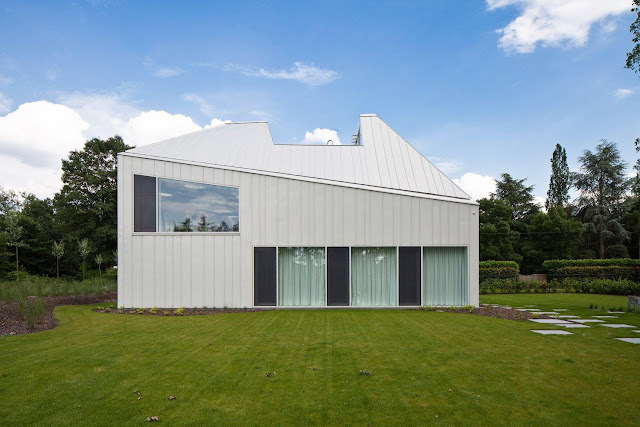 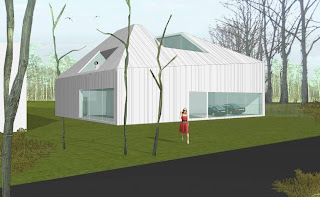 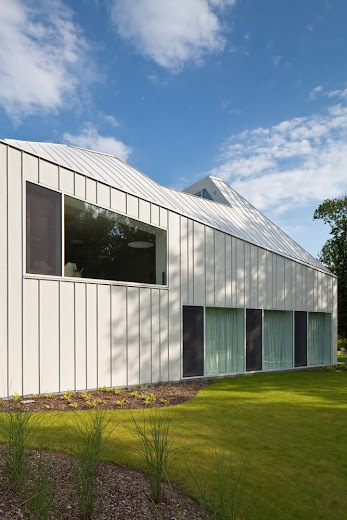 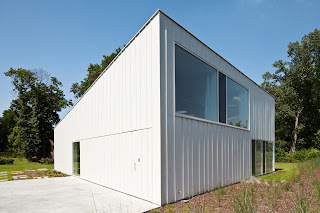 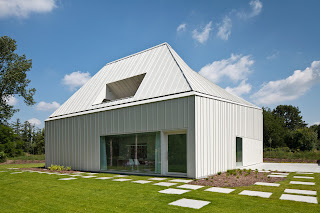 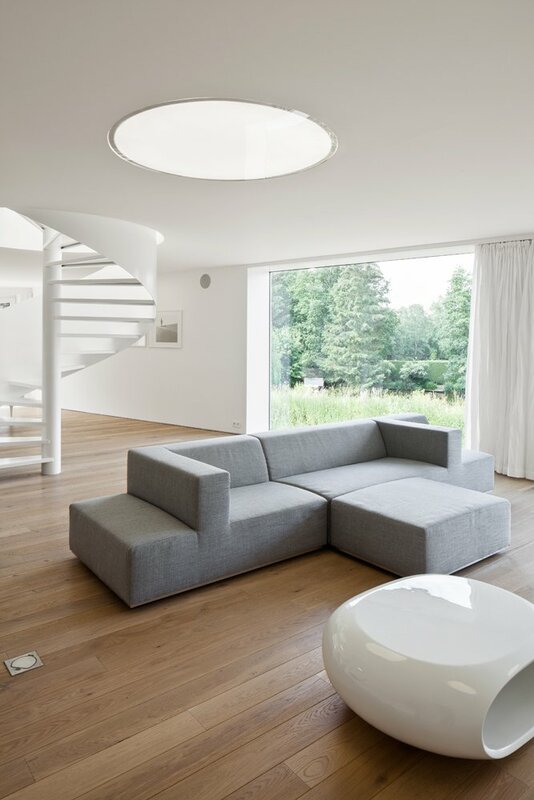 The use of white lacquered zinc for both roof and walls reinforce the house as an icon in nature.